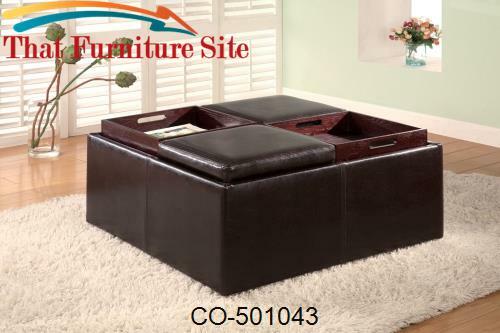 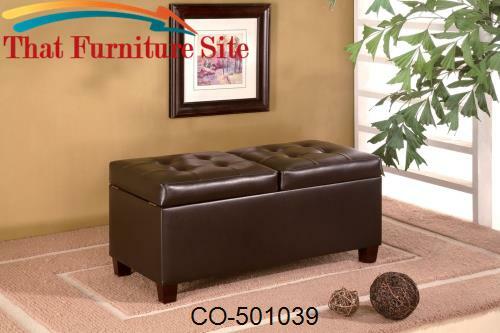 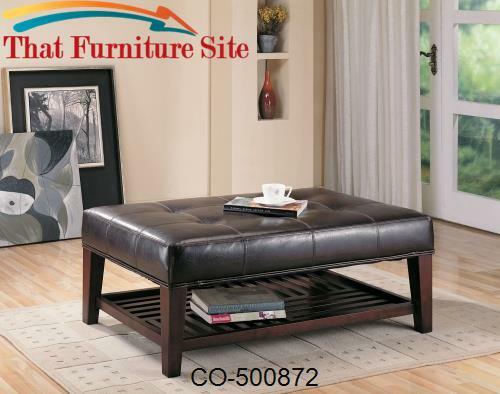 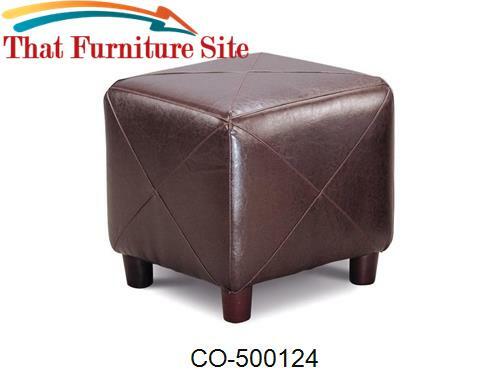 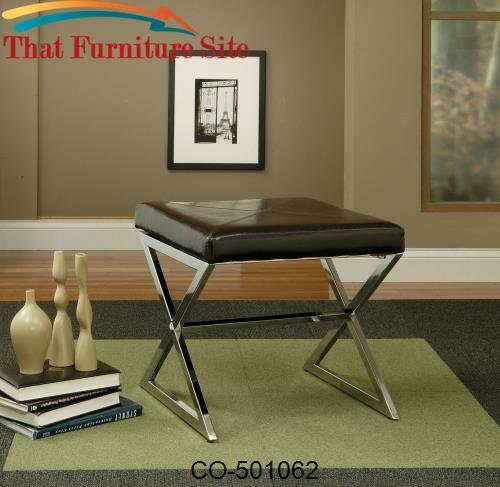 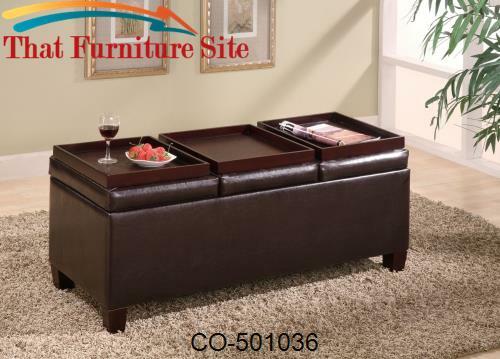 This lovely contemporary cube ottoman will be a nice addition to your home. 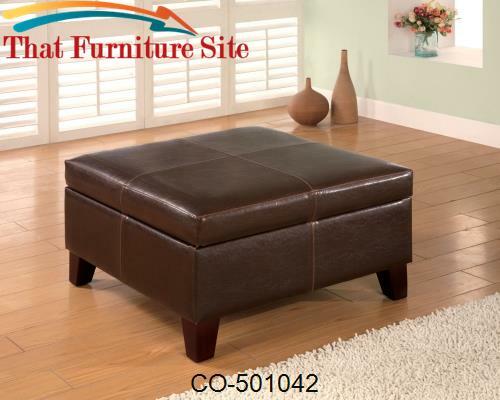 Use in your living room, family room, or other areas for a comfortable touch. 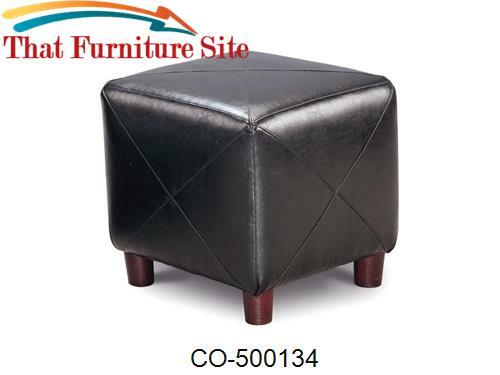 The cube shaped ottoman is covered in rich faux leather with distinctive "X" stitching, in black or dark brown to complement your decor. 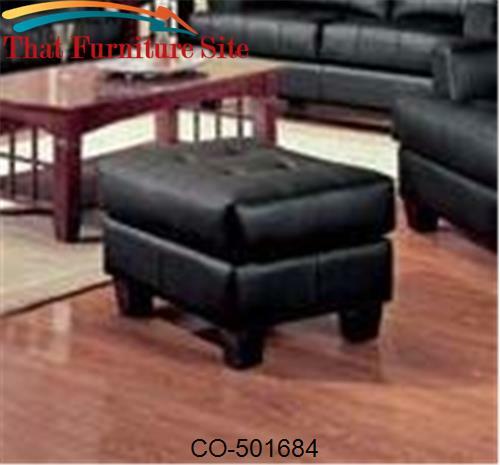 Simple round legs complete the sophisticated look. 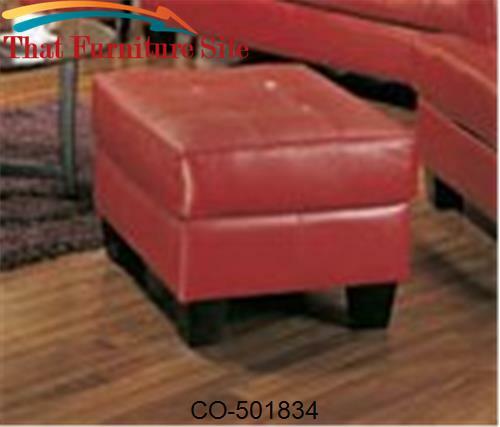 Use on its own, or beneath a coffee table for a unique style with great function.